If the usual property buying neighbourhoods are too pricey, too full of tourists or just too much of a cliché, where else can you lay your hat and call home? Such is the British (and the world’s) obsession with the USA, its culture, history and lifestyle, that there are few corners of it that we aren’t familiar with. Movies like Boyhood and Forrest Gump, and TV shows as diverse as Mad Men, The Waltons and The Simpsons have all, while making us laugh and sigh, also made us familiar with the American way of life. Some of the most remote locations have made a virtue of their backwoods appeal, in shows like Fargo and Northern Exposure. If you can’t stand the rollercoasters of Florida or the rubberneckers of New York City, where do you go? No other country has such a grip on the imagination of people 3,000 miles away. So moving to a remote part of America should hold no fear for British people, right? The winelands of the Napa Valley in northern California took a terrible toll in recent forest fires and the property there was prohibitively expensive for most buyers even before. So instead, head to Texas. Around Austin (a wonderful city in itself), the gently rolling farmland is home to 46 major wineries and plenty of small farms. Known as Texas Hill Country, you can buy a home with land for under $500,000. Beverly Hills will always be Beverly Hills, but in recent years Atlanta has earnt itself the nickname the ‘Hollywood of the South’, due to filming hit shows like The Walking Dead and Atlanta here. While the city is home to the world’s busiest airport, usually people are just passing through on their way to more popular US destinations. It’s a lovely place to live though, and easier to reach from the UK than quiet areas of the West Coast. The city’s art scene is flourishing, there are cool local breweries and pubs popping up on every corner. The restaurants are innovative and stylish. Unlike LA, Atlanta is a city you can enjoy on foot. It’s a city of sports fanatics too, and the new Mercedes-Benz stadium, home to the Falcons and Atlanta United, which only opened this year, is fast becoming one of the city’s major sporting destinations. Going off the beaten track in the USA gives you the chance to buy a sensational property for the price of an Orlando apartment. But what do you do if the vendor ups the price for a “wealthy” foreign buyer? Check out our guide, How to Negotiate Abroad, for the answers! 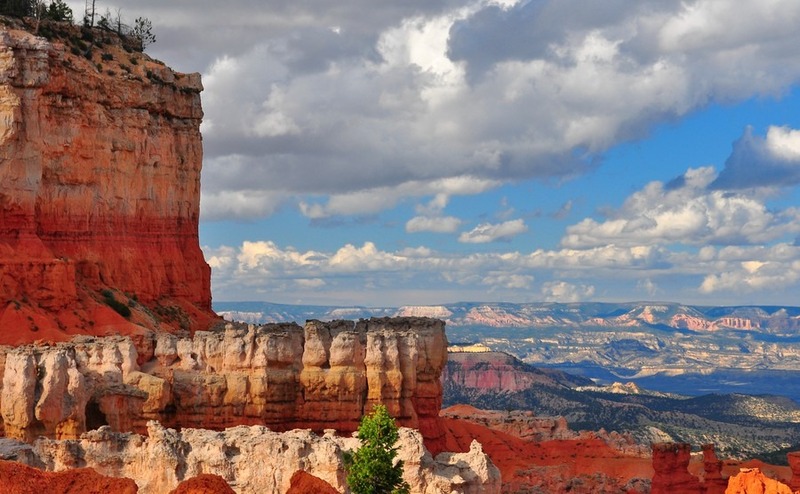 When it comes to canyons, Utah more than holds its own against neighbours Arizona and Nevada. Bryce Canyon is fab for photo opportunities because, fun fact, it has the highest number of hoodoos (columns of rock) of any canyon in the world. Nine Mile Canyon is actually 40 miles long and a natural museum – here you’ll find thousands of Native American petroglyphs and pictographs. Buckskin Gulch is arguably Utah’s most spectacular – the gulch is the deepest slot canyon in the Southwest USA. You’ll need to obtain a permit for day hikes, and if you want to stay overnight, be aware only 20 overnight permits are issued per day – meaning lots of competition but plenty of peace and quiet if you do get lucky. While South Carolina is a popular choice with Americans, international holiday home-buyers are yet to catch on. The chances of finding an affordable seaside property are far higher than in Florida or California. Edisto Beach on the island of the same name, is one of four of South Carolina’s oceanfront state parks. Huntington Beach State Park also offers beautiful beaches. If you’re more into watersports you might opt for Goodale State Park. Beachwalker Park, on Kiawah Island is another spectacular sandy spot surrounded by beautiful clear waters.